Holy crap Windows is going to CRASH!!! The world will end on yahoo's 15th birthday. 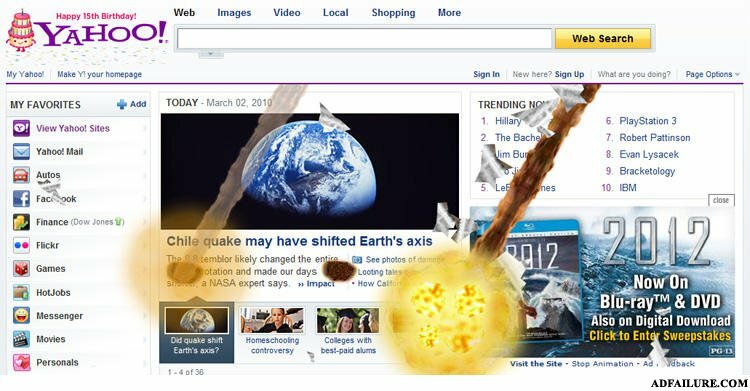 Yeah, the earthquake in my country brought a meteor storm to yahoo! i didnt know i could buy a whole year? 2012 begins, on our computers. Fixed- One of those websites that graffiti a page. how do you upset a barber?